IEEE is a global community to innovate for a better tomorrow and is a trusted voice for engineering and technology around the globe. IEEE -SJCE Brings to you the Biggest Tech fest of this semester!!!!! This 18th to 24th March witness the biggest Technical Extravaganza!! This is your opportunity to learn and grow with a wide range of competitions and activities!! Join us on this exciting journey!!! The most exciting workshop of this semester Soldering and Etching is back!!!! Soldering is one of the most fundamental skills every engineer should possess. The workshop covers the concept of soldering and etching from scratch. 1. The participants will have a chance to design and build their own circuit boards and learn via a hands-on approach! 2. Participants will learn how to handle the soldering gun and also understand the process of soldering. 3. Participants also learn the process of etching in detail, learning both hardware and software aspects. What you get to learn in this workshop? The participants will have a chance to design and build their own circuit boards and learn via a hands-on approach! Participants will learn how to handle the soldering gun and also understand the process of soldering. Participants also learn the process of etching in detail, learning both hardware and software aspects. Each team should have two members. ▪1:30 PM @ Admin lobby. We are starting off with Python-Bootcamp for students of 2nd and 3rd year. 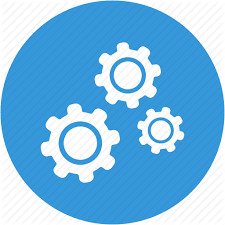 This time it mainly focuses on OOPS concepts which is the core of the programming language along with Important Packages in Python. NumPy, SciPy, Matplotlib and OpenCV. IEEE-SJCE conducts various workshops, competitions, seminars and weekly sessions to help out all our members and other students. VPM It is an annual workshop conducted during vacation which aims at enhancing the practical skills of students and encouraging them to take up real time projects. Soldering and etching this workshop helps to improve soldering skills and also help design circuits in a software and realise the same on a PCB. Robotics a technical workshop focused on introducing the new integrated development board titled MSP430 by Texas Instrumments. VPM - The annual workshop of IEEE-SJCE which aims at enhancing the practical skills of students and encouraging them to take up real time projects. Phase 1 deals with the analog sessions. Phase 2 deals with microcontroller session. 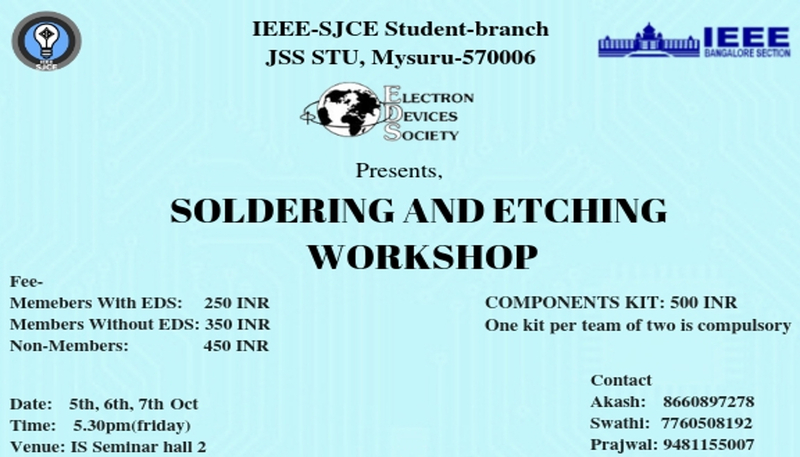 SOLDERING AND ETCHING - IEEE SJCE EDS conducts Soldering and Etching workshop in odd semesters, where senior IEEE EDS members teach the 2nd years and 1st years. ROBOTICS - IEEE SJCE is conducting robotics workshop in which students learn the basics of robotics and build their own bots from the scratch using different techniques in this 5 day workshop. 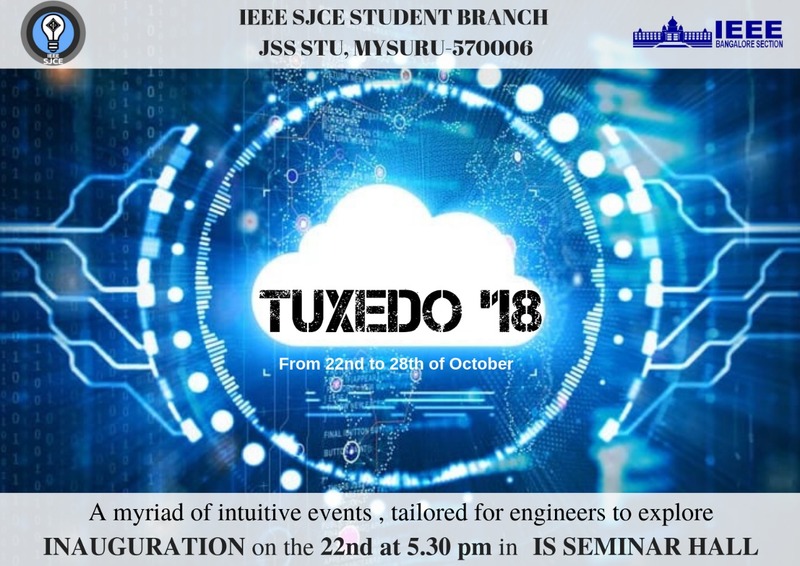 IEEE-SJCE conducts many competitions during its technical fests-Tuxedo and Cyberia. Amaze- it is a line follower robotics competition. Fury road- It is a Robo race competition where the robots had to pass the tough path and hurdles in the shortest time. 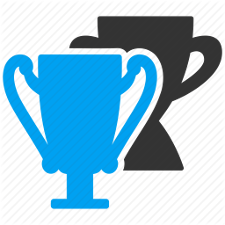 Coding owl- It is an online C programming event which focuses on bringing out the competitive coding and problem solving ability of the participants. One of the other major competition conducted by IEEE-SJCE is the VPM project submission to appreciate the efforts put up by the students in building their projects. 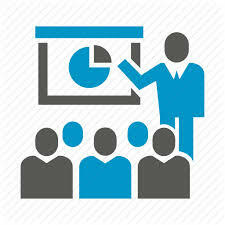 IEEE-SJCE conducts many technical talks, seminars and panel discussions during its technical fests TUXEDO and CYBERIA. 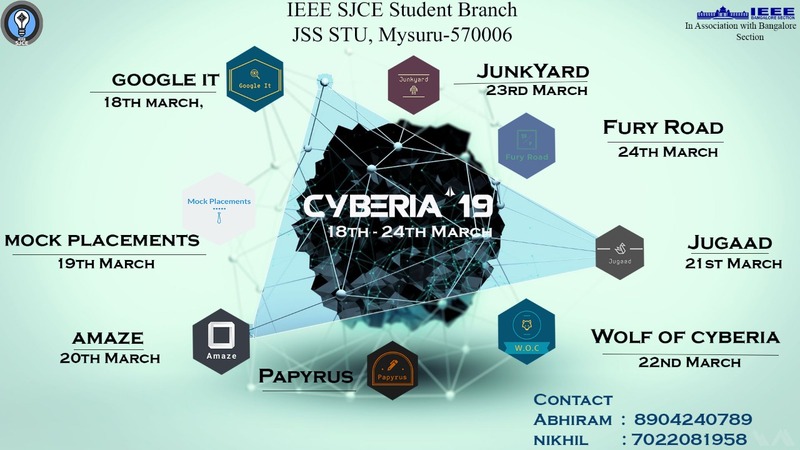 IEEE-SJCE organises a panel discussion by field experts on a chosen topic during its even semester technical fest Cyberia. It also encourages students to write technical papers and gives them the opportunity to present them in paper presenting competition PAPYRUS. Annual national level technical extravaganza hosted by IEEE SJCE to exchange revolutionary ideas for betterment of the future. Tuxedo was started with the main intention of encouraging the community to use open-source technologies in their daily life and support them. Tuxedo also serves as a platform to create awareness among the community on various open-source projects. Sri Jayachamarajendra College of Engineering, Mysuru - 570 006.